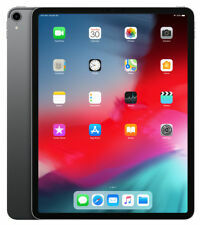 Apple iPad Pro 3rd Gen. 64GB, Wi-Fi, 12.9in - Space Gray with Apple Care. Trending at $180.00eBay determines this price through a machine learned model of the product's sale prices within the last 90 days. Tablet is in 100% working condition. Screen has very light minor wear. It also has light screen burn-in which is noticeable on a white background(see 3rd picture). Apple iPad Air 2 64GB, Wi-Fi, 9.7in - Silver MINT CONDITION. Apple iPad Air 2 64GB, Wi-Fi, 9.7in - Silver MINT CONDITION LIKE NEW! Super clean! Original power adapter and USB cable included! 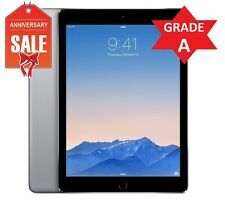 4.5 out of 5 stars - Apple iPad Air 2 64GB, Wi-Fi, 9.7in - Silver MINT CONDITION. 212 product ratings212 product ratings - Apple iPad Air 2 64GB, Wi-Fi, 9.7in - Silver MINT CONDITION. Trending at $205.96eBay determines this price through a machine learned model of the product's sale prices within the last 90 days. LTE version work with SMS but not support Phone Call ! No iCloud lock.100% OEM. This device includes our 90. This warranty is provided by us and will cover any operational failure. IPad was inspected and tested. Fully functional. SOLD AS IS . Shows normal signs of previous use, such scratches on the back and minor nicks on corners of the tablet. Tablets with 64 GB of random access memory (RAM) are available in a variety of colors including pink, white, gray, and black. They can store thousands of photos, videos, and documents, giving you the ability to save your files in a compact device which you can take on-the-go, as well as do many of the things that a smartphone or laptop can do. What are the dimensions of the tablets? The dimensions of these ultra-portable, ultra-slim computers vary based on screen size and brand. However, on average, they weigh between 1 and 1.5 pounds, with a thickness between .5 to .75 inches. If it features a camera, it may be a little taller as a result of the lens. The height will vary between 7 and 12 inches, with around an extra inch for the screen's border. The width will typically be between 5 and 8 inches, also depending on the border. Apple: Apple-branded items, called the iPad, use the iOS, making them an easy choice for those experienced in using Apple products. Samsung: Models you may know from Samsung include Galaxy Tab or ATIV. Microsoft: If you enjoy the Windows operating system, you can find options that are tailored to this technology. ASUS: Some of the models produced by ASUS include the ZenPad and VivoTab. What operating systems are compatible with the 64 GB devices? Certain operating systems, such as iOS, are specifically designed to go with the Apple line of electronics, making them incompatible with non-Apple devices. If you are interested in using Android, you can find several brands which are compatible with the operating system. Simply check the specifications to make sure the device can handle Android. Another option includes the Microsoft Windows operating system, which runs very similar to a Windows 10 desktop computer. Are the devices compatible with Bluetooth and USB technology? Tablets with Intel processors, including those with 64 GB of RAM, are compatible with technology such as USB 3.0, Bluetooth, HDMI, and micro-USB, as well as some brand-specific proprietary technology. If you know beforehand which features you need, you can check the specifications of the tablet PC, including GHz and other processor information, to ensure it runs your preferred hardware. Do the tablets come with Wi-Fi capabilities? While there may be some exceptions, you'll find most of the tablets allow you to connect to Wi-Fi. This allows you to connect to the Internet if you're not at home with your wired connection. You can also choose from tablets which offer service plans, giving you the opportunity to connect anywhere you are, whether Wi-Fi is available or not.